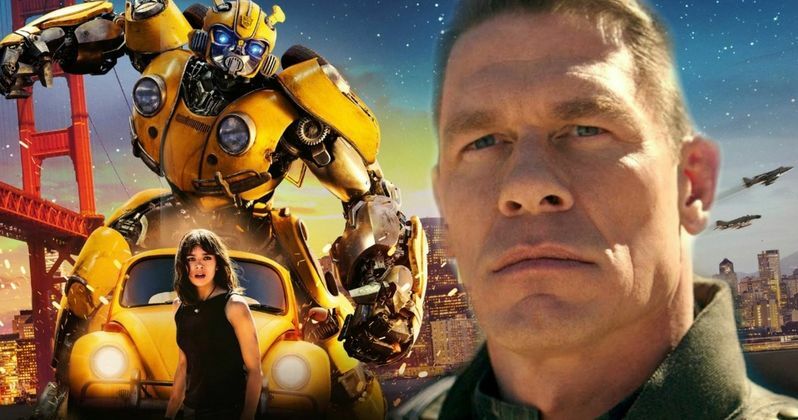 Boasting an impressive 93% Fresh rating on Rotten Tomatoes, Bumblebee is filled loaded to the brim with exciting extras. The Digital, 4K Ultra HD, and Blu-ray releases come with over an hour of exciting special features, including an all-new Bumblebee motion comic following the beloved Autobot on his next adventure. Plus, check out deleted and extended scenes you didn't see in theaters, including the original opening of the movie, enjoy hilarious outtakes, and see G1 (Generation 1) Transformers robots on Cybertron through the eyes of Bumblebee with exciting Bee Vision. In the movie, Cybertron has fallen. When Optimus Prime sends Bumblebee to defend Earth, his journey to become a hero begins. Charlie Watson (Hailee Steinfeld), a teenager trying to find her place in the world, discovers and repairs the battle-scarred robot, who's disguised as a Volkswagen Beetle. As the Decepticons hunt down the surviving Autobots with the help of a secret agency led by Agent Burns (John Cena), Bumblebee and Charlie team up to protect the world. Bumblebee will also be available as part of a Bumblebee & Transformers 6-Movie Blu-ray Collection arriving on April 2. The perfect gift this Easter, Bumblebee on 4K Ultra HD Combo Pack or Blu-ray Combo Pack also includes an exclusive printed version of the new motion comic featuring Bumblebee in a standalone side story (for a limited time only).